Image 5836832: A cormorantl flies in the clear blue sky. 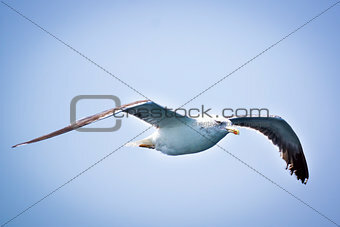 Image Description: A cormorantl flies in the clear blue sky. Sunny.